The Premium Version of the Quintus Leather Pauldrons are designed for the militaristic minded. Practical, they protect the shoulders against an enemy. They attach with straps at the biceps and have holes at the top for ties to hold them in place. They come in two colors of premium leather. The curved shape of the upper sections allows for better mobility. The silver tone rivets keep the leather plates in place. The plates are 7/8 ounce leather while the base is 10/11 ounce leather. 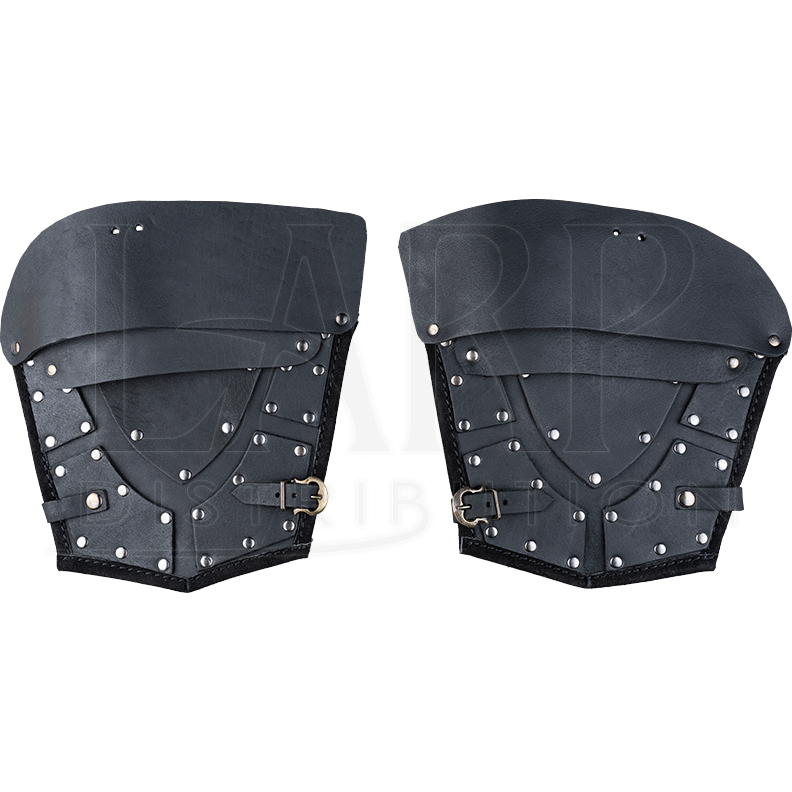 Coming as a set of two, the pauldrons are designed to fit the look of other pieces of Quintus armour. 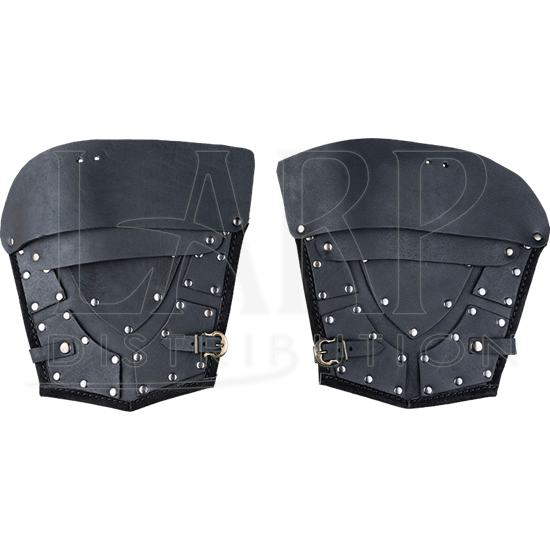 Ideal for a LARP, reenactment, or fantasy event, they add a historical detail.